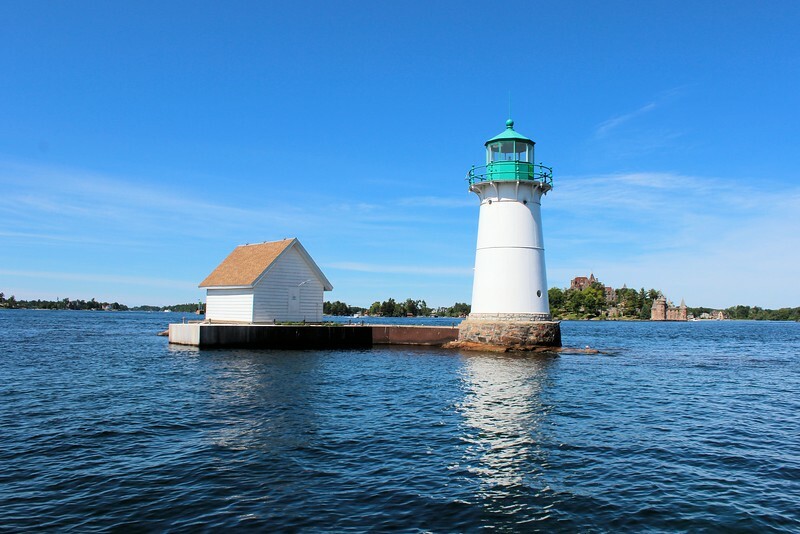 Sunken Rock Lighthouse is located in the St. Lawrence River about a ½ mile from the town of Alexandria Bay, New York. During the 1830’s a Naval report recommended the construction of three navigational aids to help shipping transit the narrows of the Thousand Islands area. It would take Congress 10 years before they acted upon the request. In March 1847 Congress appropriated funds to construct 3 lighthouses in response to the increasing shipping in the St. Lawrence River. The Thousand Islands section of the river was full of submerged rocks and ledges making navigation dangerous. The lighthouses to be built were at Rock Island, Sunken Rock near Alexandria Bay and Crossover Island.